HomeEskomIs Solar a realistic alternative to Eskom? 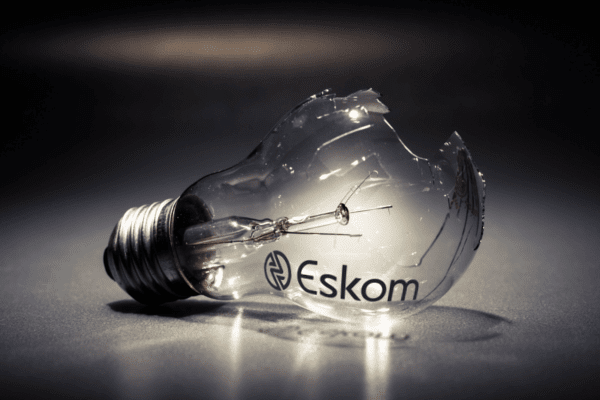 The electrical power crisis in South Africa is deepening, further constraining our economy and ultimately moving more and more people towards poverty. The good news is that like all challenges, this can be overcome with a bit of foresight and co-operation from government. At the time of writing this, NERSA have just approved a further 9.4% increase for Eskom, who has in turn responded with some veiled threats alluding to further load-shedding. No doubt we, as consumers will not see much load-shedding pre-elections, but thereafter we could see a resumption of mid-2015 type outages. NERSA are also currently establishing the Small Scale Embedded Generator (SSEG) program, which really refers to consumers producing their own power through solar, wind or other energy mechanisms. 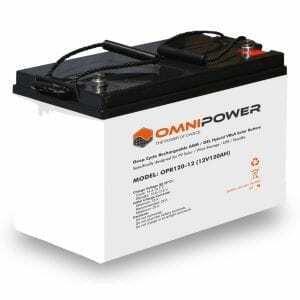 These “generators” in most domestic instances will be solar panels with the associated DC/AC inverters, batteries and other equipment depending on the application. At a commercial or industrial level, solar is also used, however it is commonplace for business entities to already have petrol or diesel mechanical generators in place, given our history of load-shedding. Mechanical generators are expensive to run and maintain and are also noisy and generate carbon monoxide, so not ideal for all instances. Solar has historically been cost prohibitive at both domestic and commercial level but with the acceptance of solar internationally over the last few years, production costs have decreased. This, in turn has reduced the price to the end-user and the with the ever increasing electricity tariffs solar solutions are now proving to be equitable per kW/h to classic grid power in some instances. This is referred to as “grid-parity”. Thus, whilst the focus has been historically on providing standby power for those times when load-shedding or other Eskom outages occur, it has now shifted to a more commercial comparative. Homeowners and businesses alike are exploring the commercial possibility of employing solar as either a partial or total alternative to grid power provided by Eskom. Current legislation does not permit the general public to connect and input electricity (grid-tie) to the national grid. This is for good reason as one can imagine the chaos that would erupt if all types of sub-standard devices were permitted to connect and upset the stability of the grid. Additionally, there is currently no revenue recovery mechanism in place, thus any power you put back into the grid will just be absorbed with no benefit to you. In fact, in some instances the power you put back into the grid can be added to your bill. During the course of 2016 we expect that the SSEG will be approved and national guidelines and standards will be published, permitting grid-tie and grid interactive systems. Already, certain municipalities have permitted this with the appropriate application and certification. This aside, many homes and businesses are already enjoying the benefits of “off-grid” systems either for back-up or self-use power. 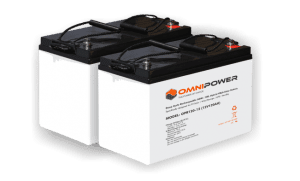 The simplest iteration of this is a back-up system, an inverter and battery bank that is installed in-line to the distribution board of the home or residence. 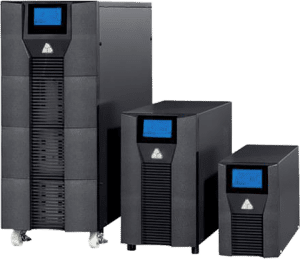 This system effectively takes grid-power and stores it in the battery and monitors the presence or absence of grid-power. Should the grid fail, the system automatically switches in roughly 20ms to the battery bank and continues to provide power from the batteries. 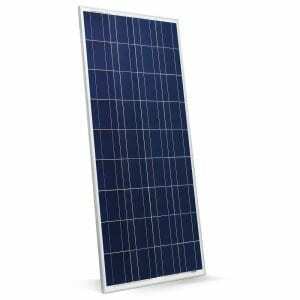 The next iteration would be a Standalone PV Solar System, an array of solar panels, an inverter, charge controller and battery bank that connect into the distribution board, providing supplementary and back-up power. The third iteration would be the Grid-tied PV Solar System without back-up, thus no battery bank as the excess power is effectively stored in the grid. This would be in line with the SSEG requirements and would be subject to the equipment standards defined and approved, most likely by the SABS or Department of Energy. In this iteration, there would be benefits for the homeowner or business in the form of compensation for the energy that you put back into the grid. This would either be net-metering, where a credit at a certain rate is applied to your monthly bill for every kWh you put back into the grid. 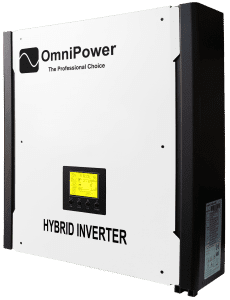 The next evolution is the Grid-tied PV Solar System with Back-up which obviously adds the battery bank but also makes use of an additional bi-directional inverter. 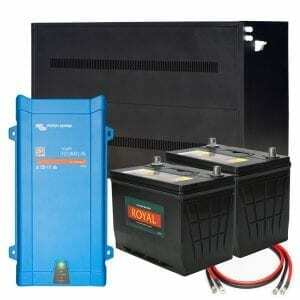 The additional inverter is to direct the DC current to/from the batteries and manage charging of the batteries. This system uses the solar array as the primary source of power and will only draw from the grid if the load demand is excessive. Finally, the Grid Interactive PV Solar System with Back-up draws all its power from the solar panels, stores energy in the batteries and then feeds off any excess power to the grid. 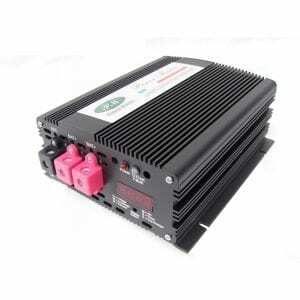 The interactive inverter system makes use of an external charge controller for battery management. These are typical configurations, however there are many more in the solar realm and beyond that, there are many in the wind, hydro and other dark arts of energy. Earlier, we said that solar is no longer necessarily cost prohibitive, however, it is important to substantiate this and clarify that it will not always be cost justifiable, despite what others may tell you. Conversely, Eskom’s cost per kWh has increased way ahead of inflation since 2008 and looking at the electricity production versus real GDP, that is, in fact, decreasing. The divergence of the blue and the red line is the real concerning part as it appears we as consumers are paying more and Eskom as our only power utility, is shrinking. Yet the average salary per Eskom employee is a staggering R623,000 per annum with some 39,000 employees. Aside from electricity becoming unaffordable, more importantly, it appears that it could also become less available entirely, no matter how much you are prepared to pay. It is thus in my view, imperative that we as South Africans start planning to employ alternatives that place our electricity and hence commercial destiny in our own hands. Whilst the DoE, Eskom and their 70 or so resellers (municipalities) dither over the SSEG, trying to protect their cash-cow, consumers should initiate an SSEG Must Rise campaign. Seems to be the only way to get things done nowadays. It is possible, and in fact is already happening that domestic, commercial and industrial entities are installing grid-tied solar systems with disregard to any laws or regulations. This is not only technically undesirable for the national grid, but can also be mortally dangerous to Eskom technical staff when performing maintenance. We do not endorse or recommend this practice and the consequences of following this path could be substantial. Always check with your power provider if grid-tie is permissible and follow the certification process thoroughly, if they do allow grid-tie. Let’s talk turkey … what’s this going to cost me? A Back-Up System or a Standalone PV Solar System whilst not offering the commercial benefits such as net-metering, can still be a very effective way to either provide standby power or reduce your monthly electricity bill. 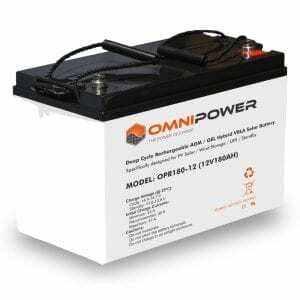 As a domestic example, a good quality 4 kVa inverter with the requisite batteries, in this case 8 X120Ah Gel batteries, will cost approximately R50,000. This configuration should provide enough power for a fridge/freezer, two to three TV’s, DSTV decoder, microwave, kettle and a few LED lamps for about 5 hours. One may argue that a small generator at a quarter of the price can do the same job, however generators are noisy, require maintenance, diesel or petrol to run, generate fumes and also generally don’t switch in automatically. 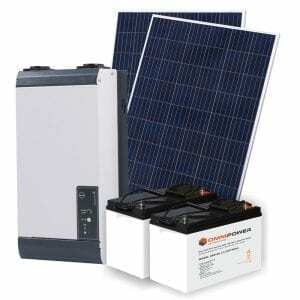 The most significant benefit of the Back-Up System is that it can be the first step towards a PV Solar system. By selecting the components of the initial back-up system correctly, that system can be augmented to connect to solar panels creating a Standalone PV Solar System. As the name suggests this system does not connect to the grid and is purely for self-consumption. The volume of electricity supplied is determined by the number of solar panels installed and the yield of those panels given certain atmospheric conditions. Obviously, irradiation, the power of sunlight on a specific area, is one of the more significant factors affecting solar panel performance. Ironically though, whilst solar panels thrive on sunlight, they perform poorly with increases in temperature. Other factors such as humidity, cloud cover and wind also have an effect on the solar panels ability to perform optimally. The cost to upgrade the Back-up System is basically the cost of the panels and in the example used, we would require 12 solar panels plus a charge controller. The installed and commissioned price of the additional equipment to upgrade the system to a Standalone PV System, should be in the order of a further R50,000. Recently a large industrial company approached us to explore the possibility of installing solar power into one of their factories. They had met with their local council who provide their electricity to establish the legality of installing a grid-tied system and had been given tacit approval, subject to the certification process. In this particular factory they were using slightly less than 21,000 kWh per month and the client required that the solar system provide approximately 50% or 10,000 kWh per month. To provide this we would require 485 sqm of North-facing roof and in this instance the client had 2140 sqm, thus more than ample space for the solar panels. 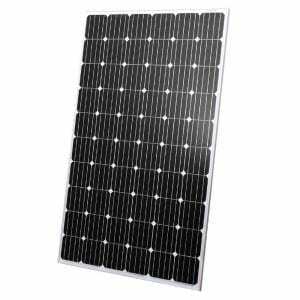 The panels we elected to use were the Solar Frontier SF170, Copper Indium Selenium (CIS) panels which we have found, through long range testing, perform extremely well. The Sinetech premises is equipped with a test facility at which different types and brands of panels are compared. The graph below below shows a comparison for a typical high yield day. 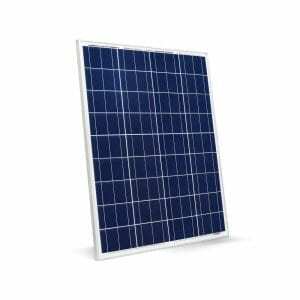 In the figure, 3 different technologies are compared, a 3kWp monocrystalline system, a 3kWp polycrystalline system as well as a 3kWp CIS system. On days with high solar radiation (as seen in the graph below) the CIS panels produces on average 12.5 % more power compared to the mono- and polycrystalline panels. Looking at a yearly average, the CIS panels produce on average 11.5 % more power compared to the mono and polycrystalline panels. Total cost of the system proposed was slightly less than R1,5 million, designed, installed and commissioned. Assuming a 15% increase in electricity tariffs per annum, the savings for the client amount to R48,1 million over the subsequent 25 years. The payback period for the system would be 4 years and 10 months and there would also be environmental benefits. This shows the commercial viability that solar has in an industrial context; however, savings can also be achieved at a domestic level but not as significant as at the industrial or commercial level. Payback periods are in the order of 8 to 10 years. Whereas the capital investment in the industrial example constitutes about 3% of the overall savings, in the domestic scenario it is approximately 18%. Funding at the domestic level is one of the biggest challenges, as the order of magnitude of a solar deployment for an average house will be in excess of R200,000. Few households have this amount surplus, however to finance such an installation could well be viable. Using the funds available in an existing home-loan such as an Accessbond could make sense or there are even cheaper, from an interest perspective, mechanisms available from certain solar providers. A closing comment from the Department of Energy: “The Minister has determined that 3 725 megawatts (MW) to be generated from Renewable Energy sources is required to ensure the continued uninterrupted supply of electricity” As we have all become reasonably acclimatised to electricity outages, although we have had minimal, official “load-shedding” recently. The more prevalent question now is how will we afford electricity in the next 10 years if the recent historical increases persist?